Tight Hip Flexors And Back Pain! Many people do not realize that Tight Hip Flexors And Back Pain can often go hand in hand. Having tight hip flexors may add unnecessary tension to your pelvis and spine. Your hips are the bridge between your upper body and lower body. They are at the center of your body’s movement. Your hip flexors are a set of five muscles that control this movement. How Tight Hip Flexors Contribute To Your Back Pain! Prolonged sitting and activities such as jogging and cycling can lead to tight hip flexors and muscle imbalances. These muscle imbalances can become a contributing factor to lower back pain. 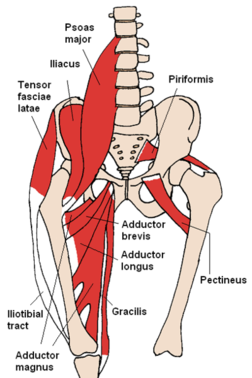 The Psoas Major is the largest of your hip flexor muscles. When your Psoas muscle shortens and tightens from activities such as sprinting or cycling. It can pull on the vertebrae of your lumbar region. This pulling may result in a sensation of tightness and pain in the lower back. In addition, remaining in a seated position for a prolonged duration of time also tends to cause tight hip flexors. Keeping your hip flexors in this flexed position can lessen their flexibility and strength. This weakening could result in what is called a Anterior Pelvic Tilt. 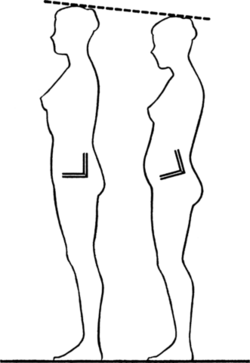 Anterior Pelvic Tilt happens when the front of the pelvis drops and the back of the pelvis rises. This causes and exaggerated curve in your spine and can lead to back pain and discomfort. Why Static Stretching Alone Is Not Enough! One of the most popular ways to address tight hip flexors is with static stretching. Static stretching is simply reaching the top of your stretch and holding for a duration of time, usually up to 30 seconds. While static stretching can feel great, and provide you with some temporary relief from the tightness. It is only a part of what you should be doing to help correct the problem. Another popular method that people use to loosen tight hip flexor muscles is rolling. Rolling is when you use a foam roller or maybe a tennis ball. Then you roll your hips around in an attempt to loosen them up. The problem with rolling is that it really doesn’t make much of a difference. The reason that is, is because your Psoas Major is located so deep within your body. The Psoas muscle attaches your upper and lower body. It is buried deep inside your core making it tough to access. It’s a hard muscle to find, let alone train. Don’t get me wrong, rolling will provide some relief, as well as a nice massage. However it requires more than a tennis ball or foam roller to loosen tight hip flexors. Also doing it wrong could just make things worse. Due to the fact that your Psoas muscle is buried so deep in your core. You need to look at it with the Big Picture in mind. There are many other muscles and tendons that cover your Psoas. This means that you need to come at it from a variety of angles. Using a variety of exercises to help to “unpack” the muscle in the right way. Think of unfolding a sheet or unpacking a package. Unlocking the muscles in your hips requires it to be done in the right order. Try to release one muscle before another and you’ll only add to your tightness. The Good News is, you can learn to release your tight hip flexors on your own. There are a number of specific movements beyond simple static stretching you can use to unlock and loosen your hips, legs and back. Your Solution To Tight Hip Flexors! While Static Stretching does have it’s place. You will still need to learn the other movements and order to fully unlock your tight hip flexors. Using the right movements and sequence jump starts an increase of blood flow to the area. This helps to to clean out metabolites and lactic acid build ups. Helping to reduce inflammation while also nourishing and rejuvenating the area. Suffering from a lower back injury myself. I have tried numerous things to help relieve my own pain and discomfort. However it was not until I discovered the Sequential Flow Method before I began to get the results I wanted. While many of the techniques were ones that I had already known. Doing the movements in the right order was the key to achieving my desired results. The Sequential Flow Method By Injury Specialist Rick Kaselj MS.! Rick Kaselj is a leading Kinesiologist and Injury Specialist. He has given more than 350 live presentations to over 8,100 health professionals in the US and Canada. Ricks approach to unlocking your hip flexors is to follow his Sequential Flow Method. There are a number of specific movements beyond simple static stretching you can use to unlock and loosen your hips, legs and back. Here is a look at some of what the Sequential Flow Method includes and how it is meant to help you. These are the specific techniques you need to follow to unlock your hip flexors. PNF Stretching: With this technique you will be activating specific muscles to relax the muscles around a specific joint so you can decrease the stiffness around that joint. Dynamic Stretching: Here you are activating the muscle around a specific joint and moving that joint through its full range of motion in a progressive manner. Warming up the muscle and increasing your range of motion around the joint. 3-Dimensional Core Stability Exercises: These exercises have you targeting the muscle in all planes of movement. Thus helping to decrease any unnecessary damaging stress on a specific joint. Mobility Exercises: In these exercises, you will target the joint by doing exercises that help the joint function optimally. This allows your joint to move more freely. Fascia Stretching: With this unique technique, you will be targeting the tissue that muscles are surrounded by and working on loosening and lengthening the fascia. Muscle Activation Movements: As a result of the amount of sitting we do in our current lifestyles. Many of our muscles are not exercised properly. With this technique, you will be targeting those muscles helping you move more efficiently. Introducing Rick Kaselj’s: Unlock Your Hip Flexors Program! Okay so you now know the specific techniques you need to unlock your hip flexors. So the next question would be how to combine these exercises and stretches in the most effective way. Don’t let the technical terms overwhelm you. Rick has pulled together a “sequential flow” designed just for you composed of 10 carefully selected exercises. Learning how to use this sequence properly will enable you to begin undoing some of the damage done to your Psoas. As well as helping to allow your body to start naturally healing itself. Rick will teach you everything you need to know and every step you need to take. 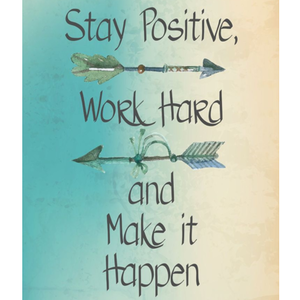 You will experience immediate results the very first time you go through the program. That program is called Unlock Your Hip Flexors. It has helped me to reduce the pain and discomfort I have been living with, and I know it can help you as well! If you are suffering from tight hips flexors, or pain and discomfort in your lower back. I highly recommend that you consider looking into Ricks Unlock Your Hip Flexors program today! Learn More About The Unlock Your Hip Flexors Program! The fact that you have made it this far would suggest that you or a loved one is suffering from hip and/or lower back pain. You do not have to suffer any longer, there is a way to get relief. Rick and his program have helped over a Quarter of a Million other people achieve amazing results. There is even a FaceBook Fan Page, what does that tell you? If you would like to learn more about the Unlock Your Hip Flexors program, simply click the blue box below. You will be taken to my complete program review and you can learn everything you need to know about this awesome course! Well Ladies and Gentlemen that about wraps up this article on Tight Hip Flexors And Back Pain and how they are connected. You now know what you need to do as well as where to find out how. The Unlock Your Hip Flexors Program is a downloadable program. This allows for a very low cost and also means that you can get started today! Tight Hip Flexor Stretches For You To Try. Should you have any questions or comments please feel free to leave them in the comment box located below. I will get back to you just as soon as I am able to! 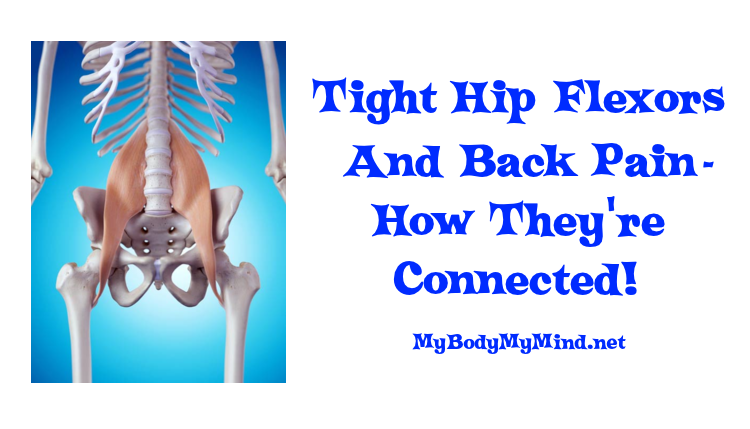 Thanks for checking out my article: Tight Hip Flexors And Back Pain – How They’re Connected! Tight Hip Flexors And Back Pain - How They're Connected! This Article Is All About How Tight Hip Flexors Contribute To Lower Back Pain And What You Can Do About It! Previous Post Previous post: Teeter Dex II Decompression And Extension Machine! Next Post Next post: The 2 Week Diet Plan Review – Guaranteed Results! This is really interesting. I was in a car accident some years ago and still suffer from lower back pain. I didn’t realize I had that there’s a muscle there that needs to be stretched. This was an informative, easy to read, understand, and learn about topic. It’s easy to navigate through. I’m going to try those exercises that are recommended. I also bookmarked the site as I want to learn more! I’m going to sign up to receive updates. This is a great topic/niche since many folks suffer from back pain. Thanks for sharing your experience! Definitely give those stretches and exercises a try. They come from the Unlock Your Hip Flexors program and just a small part of the over all training course. The course and the exercises have helped me strengthen my core and that has lead to less discomfort and far less down days! I can tell you that APT left untreated is very bad news. Many people who have office jobs will suffer from this but not realizing anything is wrong till it’s too late. I know lower back pain more than I would even wish upon my greatest enemy. I went from a rock star life to losing the life I created for myself. I greatly attribute that to not paying attention to conditions and symptoms just like here on your website. I hope people take great notice to what you have provided here because what I have endured is in no way fun and if I knew then what I know now. I would have made the necessary changes so I didn’t end up like this. My friend I am saddened to hear of your situation. While I have my injuries and challenges, they do not compare with what you have gone through. You are correct, people that have to sit for long periods do not realize the potential damage that may take place. People often blow it off thinking that it is only sitting and it can not harm them in any way. That is a huge mistake! It has long been known that truck drives usually end up with back problems later in their careers. It is because of all of that sitting, so it only makes sense that it would also effect office works in the same way. Jair Thank You for your compliments, I am very happy that you find this information helpful. It really means a lot coming from someone that has been through what you have been through. Jair best wishes to you my friend! What an informative article I will look into this program further. I have a lot of problems with my hips. Thanks! I am glad you found the article to be informative. If you are suffering from problems with your hips, than the Unlock Your Hip Flexors is the program you are going to want to try. There are some great stretches and exercises in the training section, and it also shows you exactly the right order to unpack your muscles and then strengthen them. I can tell you that for the price, you will not learn more information about your hips anywhere. Plus it has a 60 Money Back Guarantee, so you have nothing to lose except your discomfort that is.